Once an educator, always an educator. Whether teaching students or when in administration in public schools, I always considered myself an educator. I certainly hold the adage, once an educator, always an educator. This is true in several of my current endeavors: real estate and photography. I will elaborate on my real estate endeavors in a later post. Today, I want to brag on a couple of my photography students. Spring 2016 has been the first semester that I taught photography for the College of the Mainland’s lifelong learning program. And, what a pleasure it has been for me to have been enriched by the wonderful individuals who took my class. From week to week, I saw growth not only in their photography, but also their confidence. One student, Pat, said, “Trudy forced me to get out of my comfort zone.” This is certainly the way to grow. 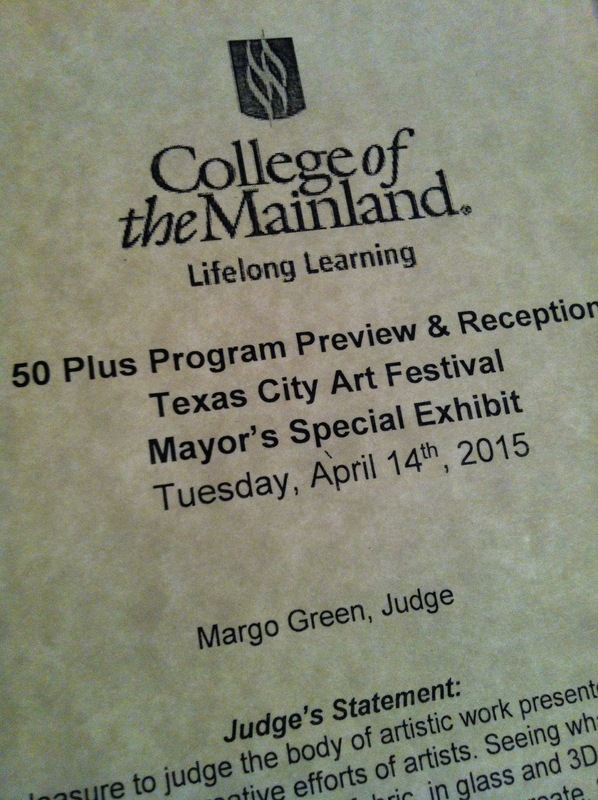 Students from the lifelong learning program are encouraged to submit art to the Texas City Art Festival. Several did just that. Today was the culminating activities with a program preview and awards reception. Awards were given to two of my students. 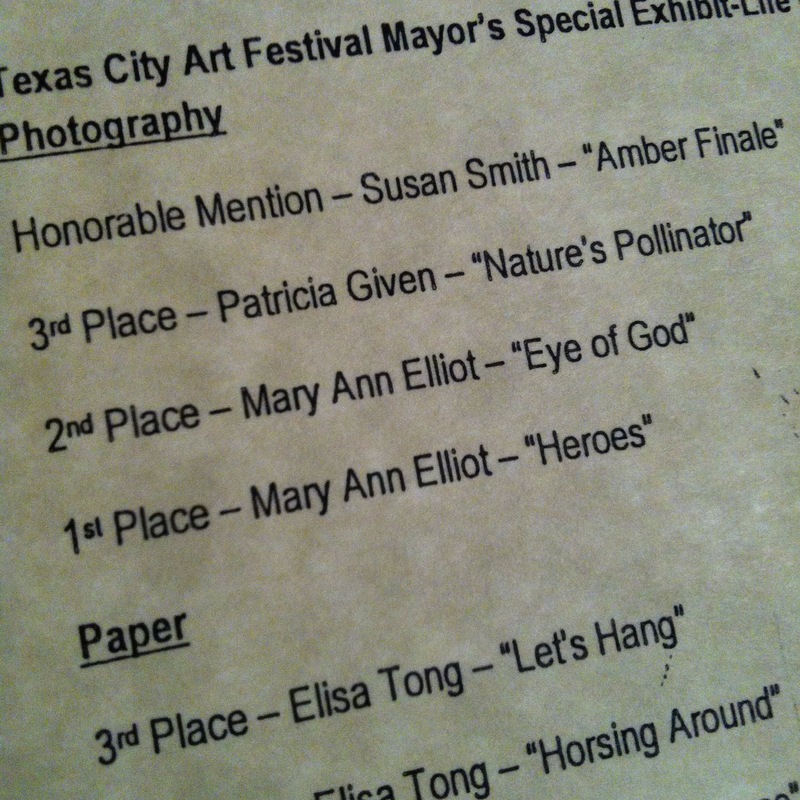 Patricia Givens took third place while Susan Scott Smith took honorable mention. Both had impressive photographs. I am so proud of these ladies and the courage they exuded to be a part of a large community event. Congratulations to both!